Who gets detained in Bulgaria? The pragmatic development of alternatives to detention with civil society at the fore can help to arrest the slide into the abyss of mass detention of migrants in Europe writes Jerome Phelps, IDC Regional Advisor and Director of Director of Detention Action. The possible future shape of immigration detention in Europe lies hidden between the lines of the Commission’s proposals for reform of the Common European Asylum System. At first glance, the proposals seem largely to steer clear of detention. Only gradually does it become clear that they would create a universe of increasingly punitive measures, leading inexorably to the detention of anyone foolhardy enough to still think that they can reach safety in Germany or Sweden by land and sea. The Commission’s proposals, which were published in May and July 2016, take the form of a redrafting of the whole of EU asylum law, among other things recasting the Reception Conditions Directive, creating a fourth version of the Dublin Regulation (setting out which Member State is responsible for considering an asylum claim), and converting the directives on asylum procedures and qualification into regulations, which would be directly applicable in law in each state. Detention is rarely mentioned in the proposals. Only the proposed recast Reception Conditions Directive creates a new ground for detention, relating to risk of absconding, which is not on the face of it very different to existing grounds. But not for nothing does the Commission insist that discouraging secondary movement is one of the themes of the reforms. The proposals aim to use the asylum process itself to punish attempts to move on to another country. If you have leave Turkey, or another ‘safe country’, you will be sent straight back there, regardless of family ties in an EU state. If that proves impossible, you may be punished with an accelerated asylum process, with less time to obtain evidence and make your case. If they authorities think you plan to travel on to another EU state, they may impose a requirement to live at a designated residence or to report regularly to the authorities. The proposals are clear: if you breach these conditions, and the authorities consider you to be at risk of absconding, you will be detained. There is to be no immediate systematic detention of asylum-seekers, as in the UK’s notorious Detained Fast Track, suspended in 2015 following Detention Action’s successful legal challenges. But the results may be much the same, in countries on the EU’s external borders. The inadequacy of reception conditions and asylum procedures in countries like Greece and Bulgaria create powerful incentives to try to reach better places to claim asylum. Notwithstanding the Commission’s attempt to assert by fiat that the reformed Common European Asylum System will immediately ‘guarantee’ equal treatment everywhere, these inequalities will not change any time soon. Migrants will continue to try to move on. The result is likely to be detention, potentially on a massive scale. Such an expansion of detention would have profound implications, not just for asylum-seekers but for all irregular migrants in Europe. Nothing will change in the fundamentals of EU law, under which asylum-seekers can only be detained ‘under very clearly defined exceptional circumstances’, and detention of any migrant must be proportionate and necessary, limited to where no less coercive alternatives can be used. What will change if the new proposals are passed is that the exception will become the norm: the desire to get somewhere where you can be safe will be the ‘exceptional’ circumstance that will justify detention – in some countries, potentially for almost everyone. These are, of course, just proposals. They will be controversial, and they will not go through unmodified. Not least, the Visegrad countries of eastern central Europe will object to even the limited provisions for the relocation of asylum-seekers within the EU. But they demonstrate the height of the stakes in the immigration detention debate. How, then, to arrest this slide into the abyss of mass detention? The last year, and in particular the EU – Turkey deal, graphically demonstrates the ineffectiveness of appeals to legality, human rights and ‘European values’. Now that European leaders see the survival of the EU itself as being at stake on the shores of Greece and Italy, principled arguments to the Commission against mass returns to Turkey have proved ineffective. (Fortunately, so far, no more ineffective than the .) The reformed Common European Asylum System, as it stands, will significantly extend the Commission’s power, potentially preventing for example Greek judges from quibbling whether post-coup Turkey is really such a safe country. If the detention nightmare is to be averted, we need arguments that are not only legally grounded but also politically effective. The most plausible arguments start from alternatives to detention. These are the ‘less coercive measures’, unchallenged at the heart of EU law, which must be considered before detention is used. In theory, they should make it harder for states to justify detention. But the Commission’s reforms reframe them as stepping stones to detention: first, the asylum-seeker is given conditions on their freedom, to report regularly and live in a certain place; then, when they breach those conditions, they can be detained. As I have argued previously, there is another strand of alternatives to detention. Usually with the active involvement of civil society, these alternatives are based not on enforcement but on engagement with migrants. They start from the common sense premise that immigration and asylum systems that treat migrants with respect are more likely to be respected by migrants. NGOs, communities, faith groups already have strong trust relationships with migrants, and are in a much better position than states to support them to participate actively in migration procedures where they are. These alternatives can also address the crucial fact that liberty from detention is no liberty at all, if you are destitute on the street, without legal advice, without any effective opportunity to stabilise your situation. They can show governments that it is in their interests to provide decent reception conditions, advice and information, which can incentivise migrants to engage fully with their cases. 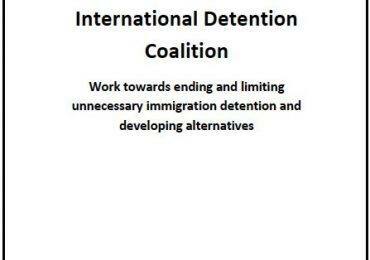 Such alternatives need the active involvement of civil society, in developing, influencing and implementing projects that can get migrants out of detention, reduce the use of detention, and improve conditions of life in the community. I have described how this is already happening even in the most desperate circumstances in Greece, where small NGOs like METAdrasi are developing innovative models. 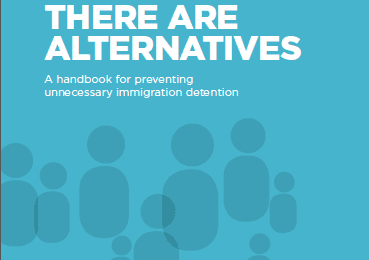 Detention Action’s new report, Without Detention, sets out the potentially crucial role that the UK could play in the development of alternatives, from a very different migration context to Greece. The UK is regionally important here because it has been at the forefront of trying to resolve migration control challenges through detention: the largest detention estate in Europe, the only use of detention without time limit. Crucially, the UK Government is finally acknowledging that this approach has not worked; following the critiques of the Parliamentary Inquiry and the Shaw Review, the Government has promised to reform and reduce the detention system; detention centres are closing. Here, alternatives to detention can be a way to reinforce and accelerate this reform process. If the choice is detention or nothing, decision-makers will tend to choose detention; but if a range of alternatives to detention can be developed, addressing different needs and risks, the Home Office can become more confident in resolving immigration cases in the community. And crucially, in closing more detention centres. Detention Action’s Community Support Project is already showing how this approach can work for even the most complex groups, young ex-offender migrants with barriers to removal. These isolated examples need to become part of a movement of alternatives to detention across the region. Despite the strong words in EU law, committing to engagement-based alternatives is a leap for most governments – the sense that other states in the region are taking the same approach can make it easier. There is growing international momentum towards the development of alternatives, but much more is needed in Europe. The launch two weeks ago of Detention Action’s report demonstrated the beginnings of such momentum: NGOs in the most diverse of national contexts are seeking to develop alternatives. In the profoundly challenging political context of Ukraine, Right to Protection are taking advantage of a new law providing for alternatives for the first time to explore how civil society can make these provisions effective in practice. In Cyprus, Future Worlds Centre are developing a pilot that could shift an immigration control system that has been very focused on detention, as part of their longer-term advocacy to reduce detention. 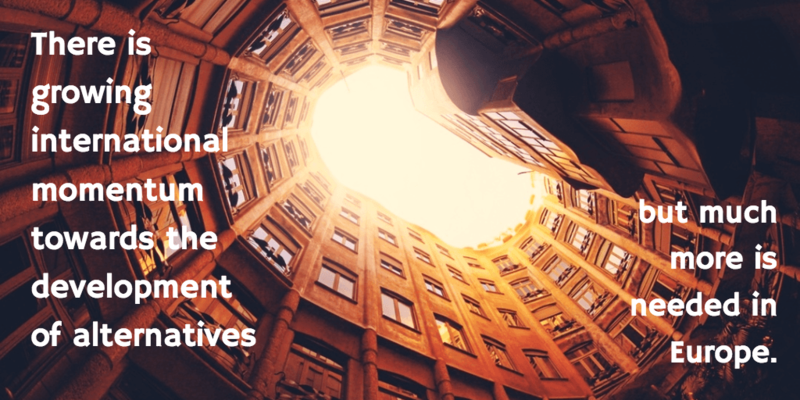 Significantly, their project would involve little that the organisation does not already do: in common with many community organisations, Future Worlds Centre already provide the individualised case management that is at the heart of the most effective alternatives. Cyprus is an excellent example of how this regional momentum could be developed. It is a small country, with limited numbers of migrants, and only one detention centre. It is at the margins of the migration ‘crisis’, and the political stakes are correspondingly lower. As such, it could much more easily shift towards alternatives than its larger and crisis-ridden neighbours. As an EU Member State, it could become a vital showcase for the effectiveness of alternatives. The examples of the UK, Ukraine and Cyprus demonstrate just how different alternatives will need to be, to address specific political and migration contexts across Europe. But there are common themes: in each case, civil society has the knowhow and dynamism to make alternatives work, both in addressing state priorities and meeting the needs of migrants. In each case, alternatives will fundamentally only succeed if they recognise the perspectives and priorities of migrants themselves. Immigration control based on objectifying migrants as passive objects of control may be doomed to a cycle of ever greater coercion and ever greater resistance. 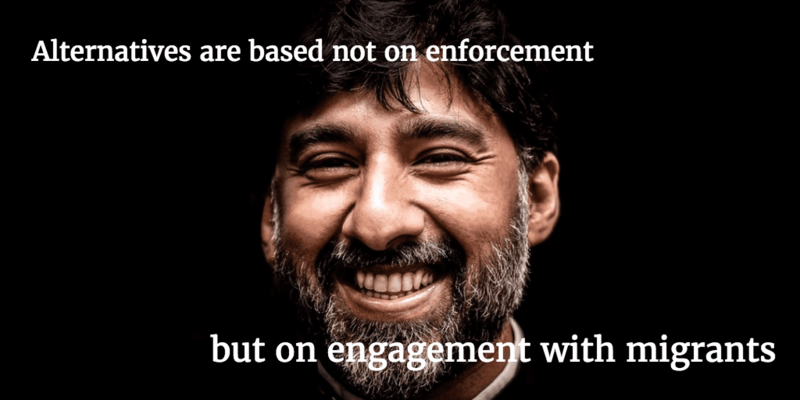 Alternatives to detention offer a way to restructure immigration systems based on recognising migrants as active agents who make their own decisions. This article is published as part of ‘Unlocking Detention’ – an annual ‘virtual’ tour of the UK’s detention estate, which aims to shine a spotlight on one of the gravest civil liberties issues in Britain today. To find out more about how to get involved in this year’s tour, visit www.unlocked.org.uk and follow #Unlocked16 on Twitter.